How to keep students engaged and productive within group activities is a never ending challenge for even the best teacher. Ok, it looks like we stated the obvious, but what is the solution? Group mind mapping. Mind what? Mind mapping. Mind mapping is an easy to learn technique that builds effective structuring right along with students hand-on participation and collaboration. The bottom line? It is a proven and extremely successful method to develop a number of life’s essential skills while retaining more information, increasing productivity and tapping into inner creativity. A whole new way of student teamwork setting them up for success. New-media literacy, cognitive load management and virtual collaboration are among the ten most important skills for the workforce of 2020. One of the most important uses of group mind mapping is brainstorming. The idea is to have the students’ minds free flowing with ideas and capture them as quickly as possible. It is also a great way to get the energy flowing and make the students feel equally involved. 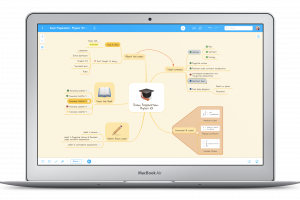 Online mind mapping tools such as MindMeister support real-time collaboration, which means that multiple students can work together on a mind map at the same time, each one contributing ideas from his or her own device. In MindMeister, each contribution made to the map is time stamped and marked with the student’s personal color code. 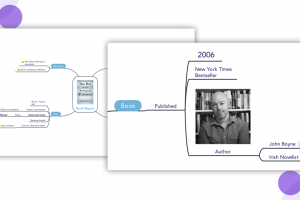 In MindMeister’s History View the entire evolution of the map can then be reviewed. This allows the students to hold other group members accountable for completing their share of the assignment. No more slackers in your class! Students must add the subject of their brainstorming session in the center of the mind map. As the ideas are beginning to flow, the students can then create branches stemming from the main idea in the middle. Each idea can again branch off into related sub-ideas and so on. As the ideas are being added to the mind map, they should be written in keywords that can later be expanded upon. The students should not be focusing so much on organization at this point but rather trying to record all ideas. And remember, all ideas are good ideas while brainstorming! After the brainstorming session, the students can then evaluate, vote on, and organize the ideas they’ve collected. Topics can easily be rearranged, grouped or removed. 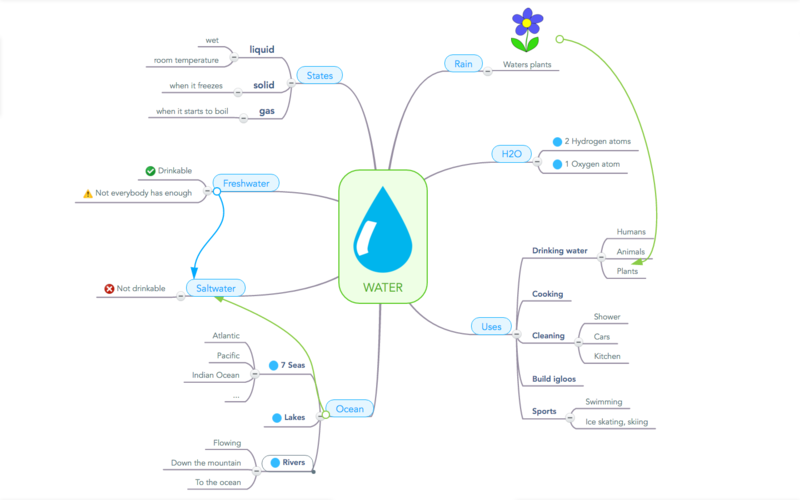 Students can make the mind map their own by adding colors, images and links related to their topics. Remember: Images are known to increase imagination! 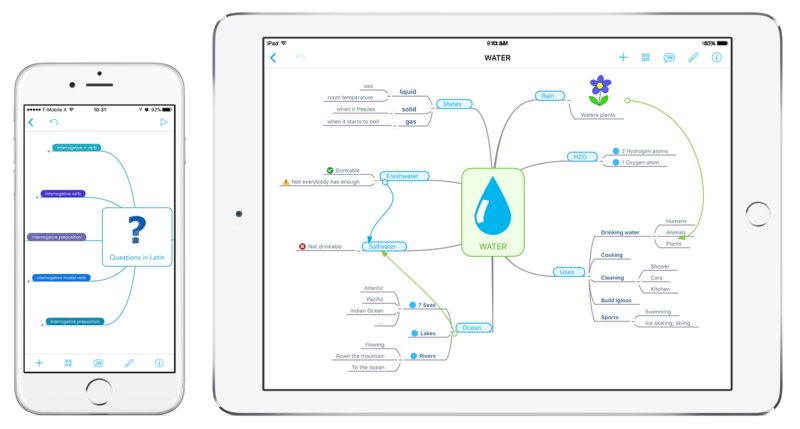 MindMeister offers free mobile apps for iPhone, iPad and Android devices which the students can use to access their maps while at home or during their commute to school. 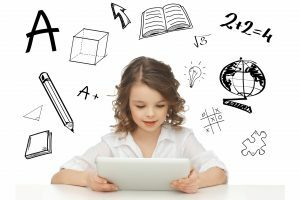 MindMeister offers basic task management capabilities that students can use to plan school projects and assign tasks to each other. Each topic in the map can quickly be turned into a task with due date, priority and assignee. 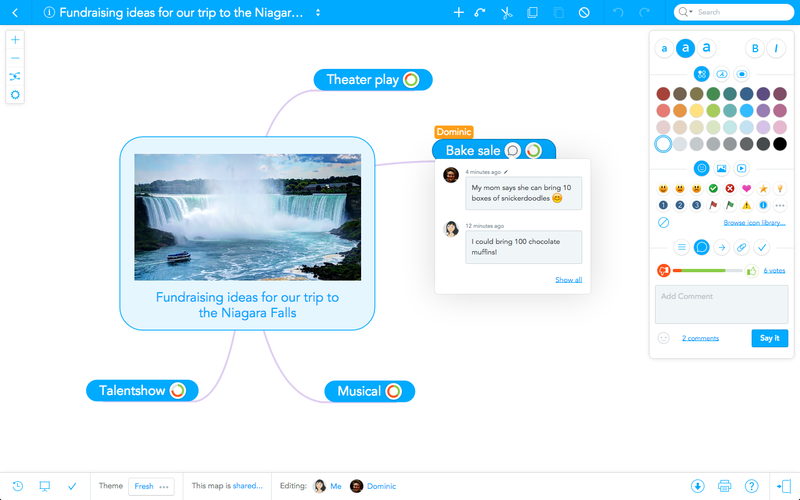 For bigger, more elaborate projects, students can use MeisterTask, MindMeister’s ‘little brother’, which also integrates with the mind mapping tool. In MeisterTask students can create visual project boards and arrange their to-dos in sections. 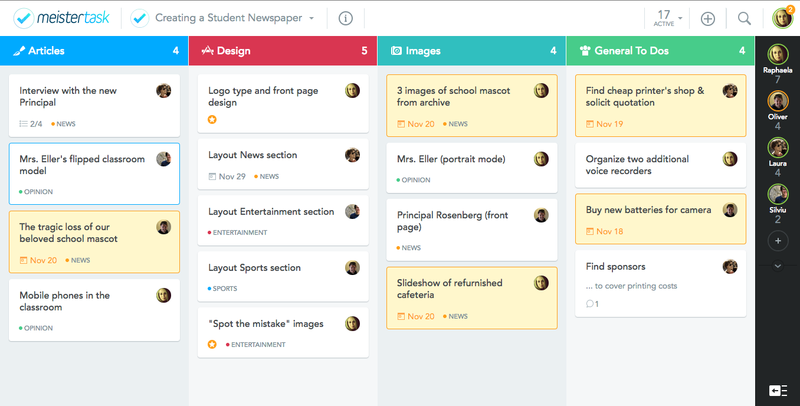 Create a project board in MeisterTask and invite students to it via email. They can sign in with their existing MindMeister credentials. Setup the board to fit with your project’s particular needs: You can create a simple To Do – Doing – Done workflow or create sections for different activities. If the project you’re working on is a school newspaper for instance, your sections might be Articles – Design – Images – General To-Dos. Create tasks in the project and assign them to the students responsible. You can also import tasks directly from a MindMeister mind map. Add due dates to the tasks and a description if necessary. Students can complete tasks as soon as they’re done. 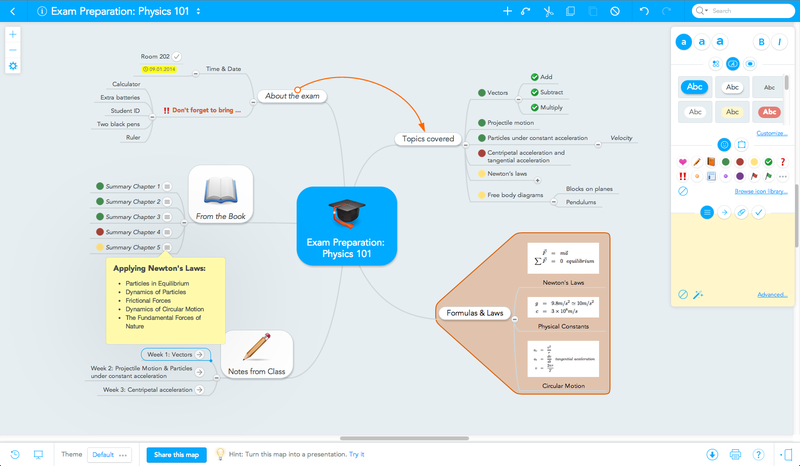 Students can turn their mind maps into dynamic slideshows directly in MindMeister using the built-in presentation mode. Group presentations not only allow the students to put trust in one another to properly prepare but also to present the information they worked so hard to put together. 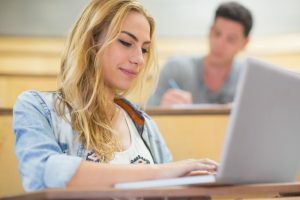 Once they’ve successfully created their slideshow, students can connect one of their devices to a projector and project their presentation onto a screen in front of the class while they talk. Alternatively, they can also broadcast their map to the other students that have the map open on their device at the same time. Students can also use group mind mapping to study for an exam or an upcoming test. Group studying is the perfect way for students to go over material that they may have missed during class. There is also a greater chance for the areas that they feel uncertain about to be the topic of discussion in the group. An interactive environment promotes creativity and a much deeper learning experience of the material. 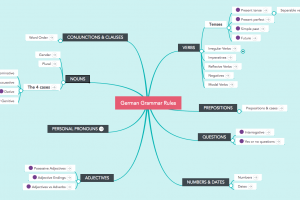 Fill-in Mind Mapping: Construct a mind map with material that will be on the exam. Replace the main concept labels with question marks and leave only the subtopic material. Have them fill in the topics that structurally makes sense. Provide students with a word bank of concepts and have them create a mind map with these and expand the map with more information. Students can be given extra credit for adding their own creative labels and ideas. This is a guest post by Courtney Miller. Courtney is Head of Marketing at a dental practice in Boston, Massachusetts. In her spare time she plays competitive squash, travels and loves to sky-dive! You can connect with her on Facebook. No MindMeister app in Google Hangout. I have connected MindMeiseter with my Google account. Hi again, thanks a lot for letting us know. Our developers are looking into this now and hopefully we\’ll have the integration up and running again shortly!